Click on image to watch full video. 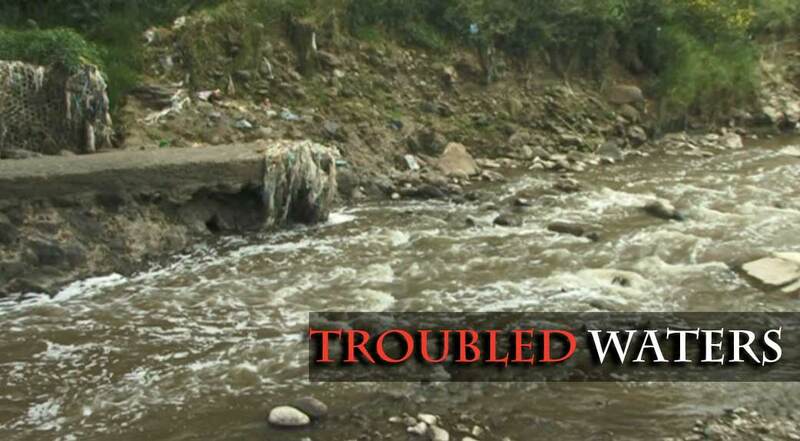 “Troubled Waters” is a new environmental documentary on the Akaki River in Ethiopia. The waters of the Akaki, which runs southeast of Addis Ababa, have the unenviable fame of being the most polluted ones in Ethiopia. The river is heavily contaminated by industrial and sewage effluents which are pumped into it by local factories, households and hospitals. Some of the residents who live near its banks are forced to drink the river water because they have no access to any other source. “Troubled Waters” examines how the scientists are monitoring the pollution and asks if anything can be done to clean it up. “Troubled Waters” is a co-production between the Ethiopian Film Initiative (EFI) and the Heinrich Böll Foundation (HBF). The film was based on an idea by Behailu Wassie, which he put forward during an EFI workshop on how to pitch documentary ideas. The urgency of exploring the problems of the pollution of the river on screen was further highlighted during a workshop on commissioning films for environmental agencies held by EFI in conjunction with HBF in September 2010; almost all the participants independently chose the pollution in the Akaki River as one of the most pressing subjects. The film, which is in both English (with subtitles) and Amharic, looks at the Akaki River and some of the causes of its pollution. It also explores the idea of if the water pollution is getting into the human food chain via the vegetables farmed along its banks. The film features interviews with people living and working along the river, as well as with those responsible for its protection. “Troubled Waters” was filmed by Abebe Ketsela, with sound by Haile Segewokal, narrated by Kaylois Henry and edited by Yidnekachew Shumete. The film has premiered at the Panoramic Cinema in Addis Ababa in early December and will be shown at numerous local screenings.